Panthers prodigy Nathan Cleary returns to plot the downfall of his father, Tigers coach Ivan Cleary, on Thursday Night Football, LIVE and FREE on Nine and 9Now from 7.30pm AEST tomorrow. Cleary will partner James Maloney in the halves for the Panthers after recovering from a knee injury when they take on another NSW Origin candidate, Luke Brooks, in front of Blues coach and Nine sideline commentator, Brad Fittler. With Maloney taking the reins in Cleary’s absence, the Panthers have held strong despite a spate of injuries to sit second on the premiership ladder, and will draw on home crowd support at Panthers Stadium against a tough Tigers outfit. The Tigers have been revived in 2018 under Ivan Cleary and will be up for the fight between the big cats on Thursday night. Mahe Fonua will not play after his man-of-the-match performance last week. Nine rugby league expert, Peter Sterling, said: “Sometimes the footy gods smile upon us and that is certainly the case with the timely return of Nathan Cleary on Thursday night. “The return of the Panthers whiz kid carries a couple of significant questions. Firstly, will his combination with James Maloney be a seamless transition? Secondly, will two games be enough to convince Blues coach Brad Fittler that he is ready to step into an Origin jersey? Luke Brooks won’t want to move out of the spotlight, with another dominant showing certain to push his own representative credentials. On Friday Night Football, two NRL powerhouses in the Brisbane Broncos and Sydney Roosters will push each other to the limit at Suncorp Stadium. Behind Queensland Origin hero Cooper Cronk, the Roosters put in their best performance of the season last week, smashing the Warriors 32-0, and are eager to keep the ball rolling after a stuttering start to the season. The inconsistent Broncos have shown they can bounce back and grind out a close win after coming off a loss, which they have managed to do three times this season in their five wins. 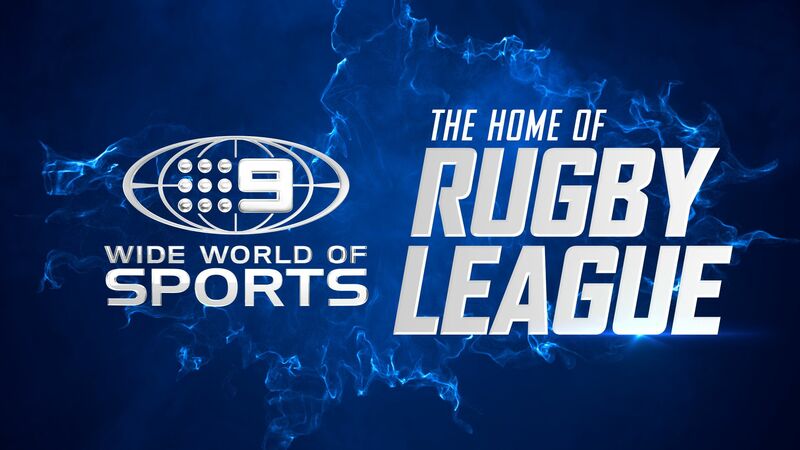 Nine rugby league expert, Darren Lockyer, says: “A healthy rivalry exists between the Broncos and Roosters, born out of a Grand Final and numerous finals games played against each other in the modern era of NRL. “The start will be crucial for the Broncos, who need to play up-tempo footy on the back of forwards Tevita Pangai Junior and Matt Lodge. Then it will be over to the instinctive and creative halves pairing of Anthony Milford and Kodi Nikorima to bring it home in front of the Broncos faithful. Sunday Football takes viewers to Sydney’s Sutherland Shire where the Cronulla Sharks host the Canterbury-Bankstown Bulldogs. The Sharks have proven difficult to beat at home in 2018 with four wins from five games. Speaking on Six Tackles with Gus, Nine rugby league expert, Phil Goud, said: “A very interesting game. Last week the Sharks weren’t outstanding by any stretch but they had an 80-minute effort in them and in the end that’s what won them the game, just sticking at it a little bit longer than the Raiders. They are just in your face the whole time. “They are down at the Bermuda Triangle (Southern Cross Group Stadium) so you would have to think that the Sharks will rise again and have too many points in them for the Bulldogs. It will be a tough, grinding type of affair – it won’t be a game for the people that like a lot of points, it’ll be more for the rugby league purists that like to see big men belting each other and giving nothing away.